I seem to spend an unhealthy amount of time complaining about the inefficiencies, lack of services, lack of work ethics, and all sorts related to my stay in Zambia. Today I’ve decided to write about some positive experiences – so you know it’s not all bad! 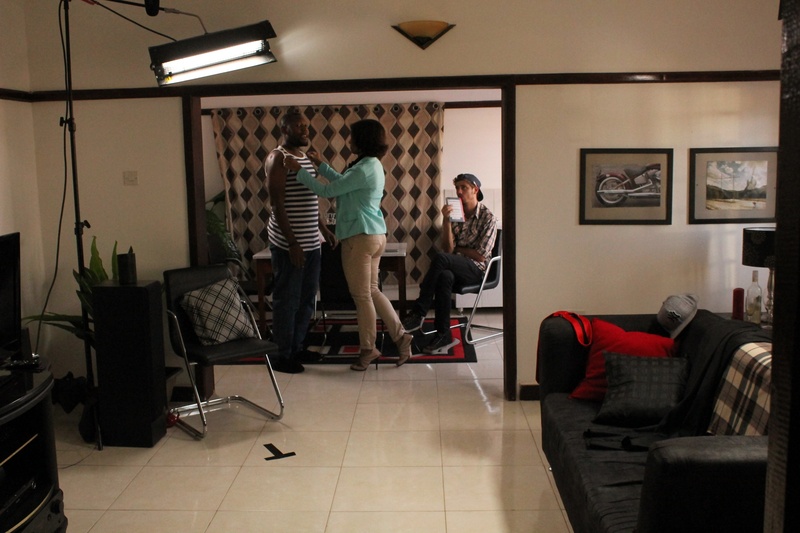 We’re into the 22nd day of shooting Love Games season 2 (only 24 days more to go!) and I’m so excited with how the shoot is going. It looks so good! We also have some new cast that are amazing, and some celeb appearances that I’m also excited about. I would say who now but it might be announced in a leading local paper so I can’t say anything until that deal is concluded (or not). But trust me when I say season 1 has nothing on season 2 – this is the bomb for sure and will really make us proud of what Zambians can achieve if we really put our minds to it. Ok, we did get some help from our friends down south. We are still a growing industry and if we really want to compete internationally (or just regionally) we can’t be afraid to ask for some help – it still is a Zambian production. Also thanks to the success of season 1 we’ve been able to get more businesses interested in coming on board to help out with sponsoring the materials to build and design sets – Handyman’s Paradise, and to help with our own set catering needs we have Eezee Instant Noodles for days! But you can read more about them on the official programme website in a few weeks. But it was interesting that it was still a hard-sell to many other businesses. Even in this months’ Bulletin and Record Love Games has been tagged as must watch TV, (unfortunately it won’t be on air in May), so shows just how popular it is. While productive placements are big business in some mature TV industries (namely the US), sadly Zambia’s marketing tactics are left to traditional and basic advertising tricks, but that’s for another blog! These two companies coming on board haven’t necessarily save the production budget loads of money but has enabled us to do more – people can work longer with food, and we can get better sets with the availability of the materials! Which all in all add to a better product at the end of the day. I know as a business I should always focus on the bottom line, but I couldn’t in good conscious ignore the end product as well. Love Games has been so well received it only made sense to do it bigger and better – even with the small budget – because the audience and the Media 365 brand deserves as much. I haven’t been on set as much as I’d like… ok I lie, I’m not of fan of being on set – it can be stressful and long (22 shots and numerous takes later), but I’ve been watching the rushes and I’m excited. Sometimes I worry the storylines are not as ‘fun’ (i.e. no real bandit behaviour) but when I look at how beautiful the sets are, how great the framing is, and just the style of shooting, I’m excited, almost wishing July was here already! Though we did attempt a skills transference process in season one, in season two it has come together much better, with teams in camera, continuity, sound and post – we even have a new title for someone, Digital Imaging Technician! So far it’s going good – and everyone is learning – it goes both ways doesn’t it? In season two we’ve brought in a variety of new cast – especially for supporting roles (total number of cast, including leads, supporting and bit roles is coming up to 40! don’t even ask about walk ons and extras! ), and have a new lead character, who are all doing an amazing job. I can safely say I’m truly excited about Season 2.